Just for fun we asked our kids some questions. 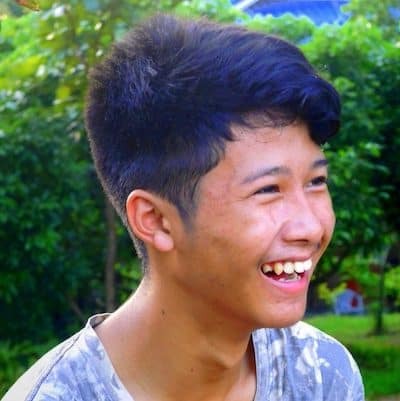 Below are Tanakorn’s answers to some of the questions. If you could be anyone in the world for one day, who would it be and why? If you could take a plane to go anywhere, where would you go? Tanakom just completed 8th grade. He likes going to school to be with his friends and is helpful in class. Unfortunately, he gets bored easily and then doesn’t hand in his homework. He was able to still earn 1 A this year in Health Education. We hope Tanakom can strive for new goals in his coming school year. Tanakorn is a pre-teen teen – sullen, fragile, helpful, angry, aloof, friendly, whatever. He’s really big and strong – twice the size of the other boys – and bored with them. If he could spend all day riding around on the Warm Heart farm motorbike with sidecar, he might be happy. 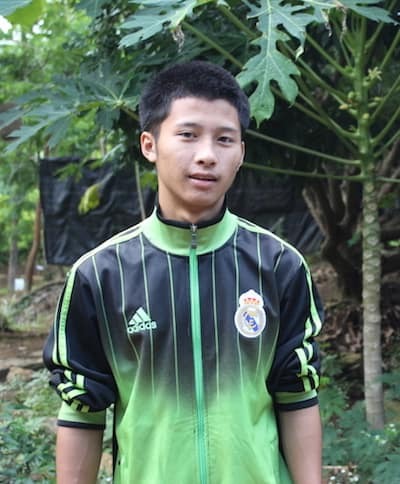 He is a math whiz who routinely wins the Phrao District math competitions and places 1st or 2nd in the Provincials – but he is close to failing his other courses in school. He should go to university in engineering and found a few cool startups. He is a natural entrepreneur. But in this educational system, he will be limited. He will far exceed his brother and make a good living as long as he goes to vocational school and learns a trade. I have loved this kid since day one and if I can think of anything for him, I’ll do it. 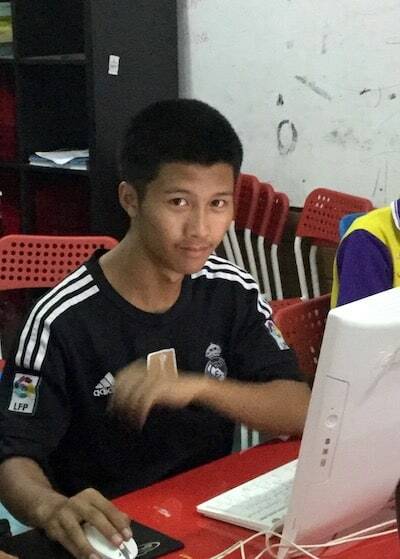 Tanakorn’s older brother, Prapan, was one of the intrepid first 8 kids from Lau Wu to come to Warm Heart. Tanakorn arrived the next year. For Tanakorn, life could only get better. Before coming to Warm Heart, he had not had an easy time. At 4 he survived open heart surgery. Months before he left home for Warm Heart, his father was killed in a motorbike accident. 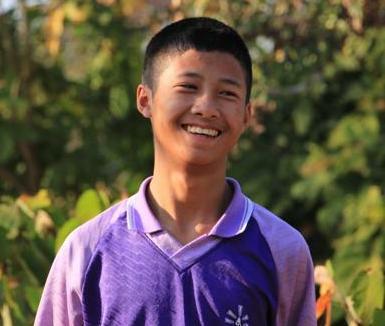 Despite the difficulties Tanakorn faced during his childhood, he is a strong and positive young man. You’ll often find him helping Michael with his gardening and agricultural projects on the weekends. 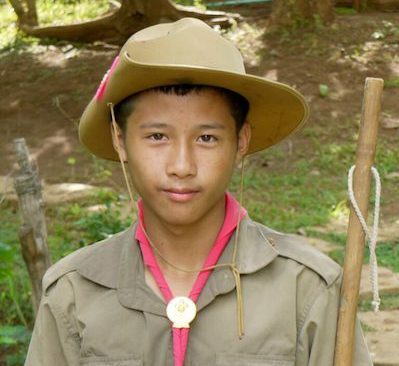 Tanakorn’s favorite activities are walking around, hanging out, and working hard with Michael as his helper. He also loves to play soccer and spend time in the computer room. In school Tanakorn prefers math and computer class. Tanakorn won the Phrao District math competition for his age group, represented Phrao in the all North Thailand competition and came in second! When he grows up he hopes to work in agriculture – although Michael has other plans for him.